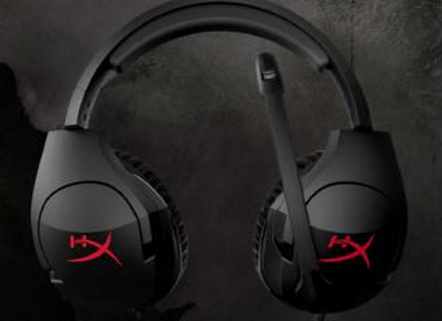 I have been a fan of HyperX Cloud headsets in the past, and the latest from Kingston continues that trend. 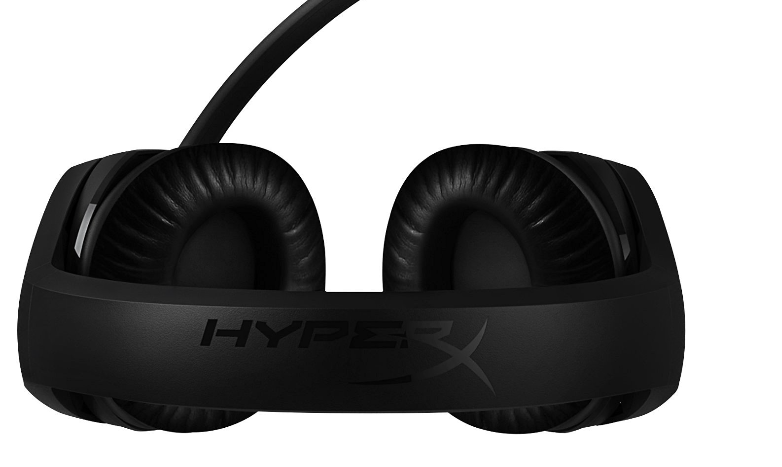 Do not let the plastic body of this headset fool you, because in a market where headsets can easily ring in around two hundred dollars or more, the value provided by the HyperX Cloud Stinger is outstanding. I mention the plastic body of the headset, because it is one of the first things you will notice. A lot of higher end headsets have metal components or lots of illuminated parts, but here Kingston opts for a more minimalist approach in its headset design. The body is black plastic, and often people associate plastic frames with cheap, but to its credit the HyperX Cloud Stinger has a wide, solid construction to it. There are moving parts connected with steel, such as the slider for expanding the headband and swivelling the ear cups to they can fit snug to the side of any head. 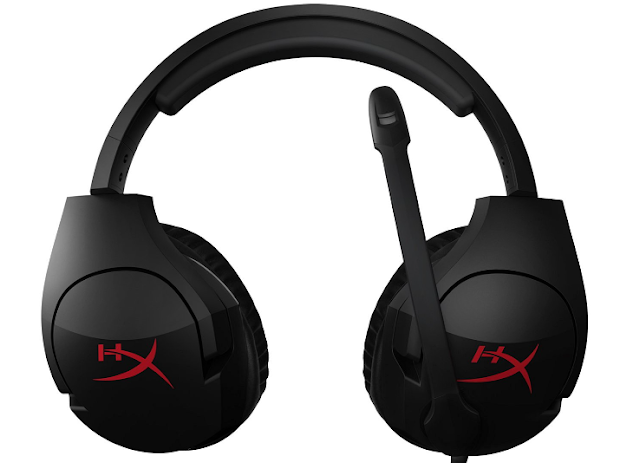 In terms of aesthetics, you basically have black with a splash of bright crimson HX for the HyperX brand on the outside of the ear cups. There are some intelligent design choices at play here besides the adjustable fit for comfort. The microphone is one of those slightly bent ones that extends from the left ear and can be pushed upward to automatically mute it while getting it out of your way. Having had several retractable/extending boom microphones on headsets break over the years, this feels like a better design for longevity's sake. The volume control is located on the underside of the right ear cup, which I much prefer to having it located in-line on the audio cable like a lot of units use. At the risk of someone assuming this is a cheap headset because of the body, I feel the need to mention that the plastic design comes with two benefits that are worth calling out. The first is the price, and this headset is an affordable way to get the kind of sound quality that most turn to high end headsets for. Secondly, this is an incredibly lightweight headset at less than 300 grams. I seldom have an issue with wearing headsets for long periods of time and suffering fatigue, especially when the headset has a nice padded section underneath the headband (as this one does), but lightweight design is still appreciated. This is a versatile headset as well, as you can use it for multiple consoles as well as the PC. The plug itself is a combination microphone and earphone 3.5mm male audio connection (like what you would normally use and see on a laptop). There is an included Y-extension however, that breaks out the microphone and headphone jacks independent of one another for those looking to use these with a PC. Last but not leas on the design front, Kingston once again provides memory foam for the padding on the ear cups, and it does an excellent job of providing comfort and a solid seal around the ear to help keep ambient noise out and the sounds of your game/movie/music in. The only caveat here is that those who prefer an on-the-ear style due to sweaty ears might wind up with warm ears with extended use, but I found the HyperX Cloud Stinger to be an incredibly comfortable overall fit. Now for probably the most important factor, we have the sound quality. With 50mm directional drivers, the overall sound quality is excellent. The bass is well represented and it handles the mixing of higher register with low rumbling pretty well. It is only when I am listening exclusively to really higher pitched audio that you notice the limitations of the device and even then it is not distorted in any way, but the HyperX Cloud Stinger can be a little tinny in some instances. However, given that this is true of other headsets at three to four times the price, I would say that for a lower budget headset, the sound quality is as good as any I have experienced for under fifty dollars. The microphone is also of the noise cancelling variety, and it took a little bit of adjustment on my part to find the sweet spot that other people could hear me comfortably. However, once I found the right spot, the microphone worked great according to the people in my party. One thing to note (and frankly, given the price I did not expect it), but for those who feel monitoring is a must, these do not provide that. Frankly I don't use monitoring much anyway, but if that is important to you, then you will want to look elsewhere. I have had nothing but good experiences with Kingston headsets so far, and the HyperX Cloud Stinger is another excellent entry for the brand. Certainly it has some limits, but given the aggressive price point, this could be the best under eighty dollar (Aus) headset currently on the market.